Our societies are at a critical juncture, the multidimensional crisis that they are going through leads them to initiate eco-social transitions. Faced with this complex and difficult task, the idea of the commons has reappeared with force. A notion that has gained presence in philosophical, economic or legal debates (Negri, Ostrom, Federici, Mattei, Bollier, Bauwens, Mies, Laville, Stavrides, Laval y Dardot…); it has been used especially to denounce privatization processes or “new enclosures” and to name the alternative practices that are building alternative realities. In the Southern European cities the austerity urbanism (Peck, 2012) is being confronted by an alternative social practices ecosystem inspired by the commons logic. 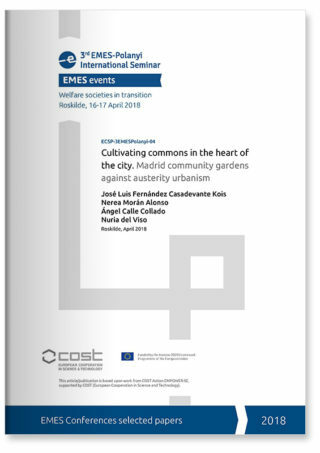 In Madrid community gardens can be highlighted as an initiatives that have gone from illegality to the coproduction of public policies, linking social movements reclaims and municipalism.